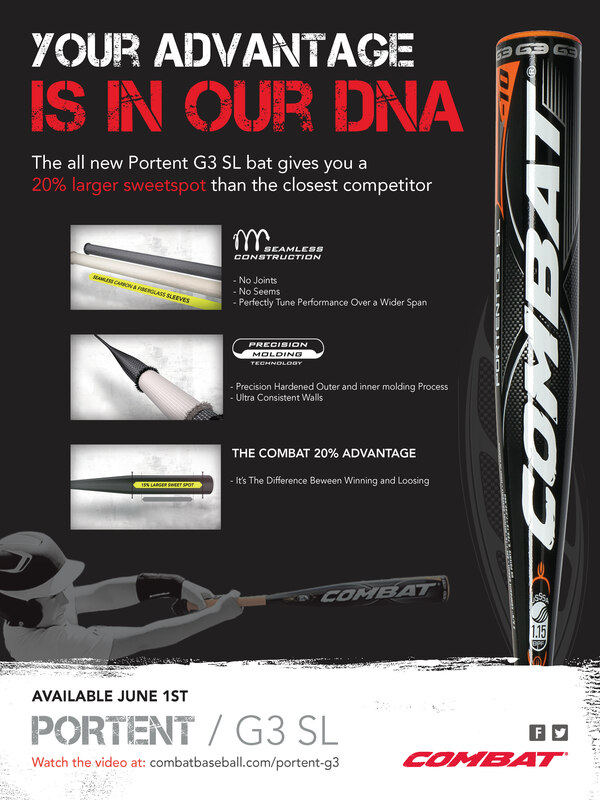 Combat Baseball was releasing a new bat for the upcoming baseball season called the Portent SL G3. 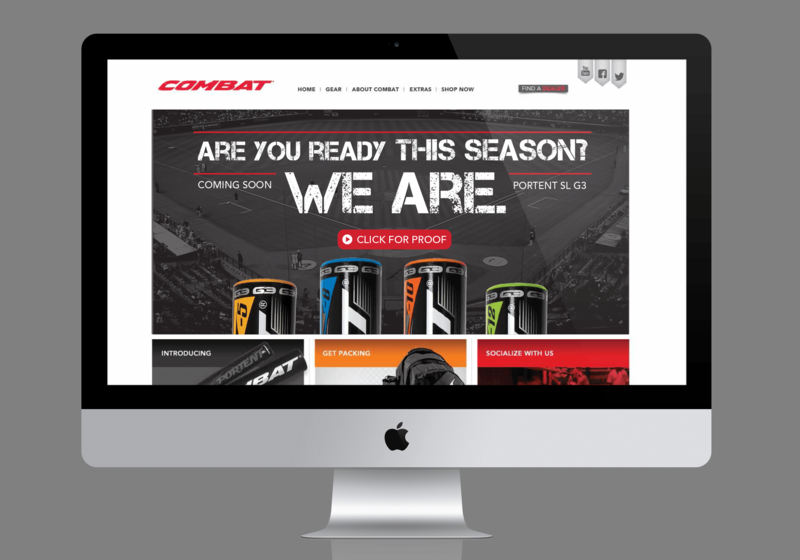 To build hype about it they wanted to do a pre-release teaser through web banners, an email blast and merchandise tags. 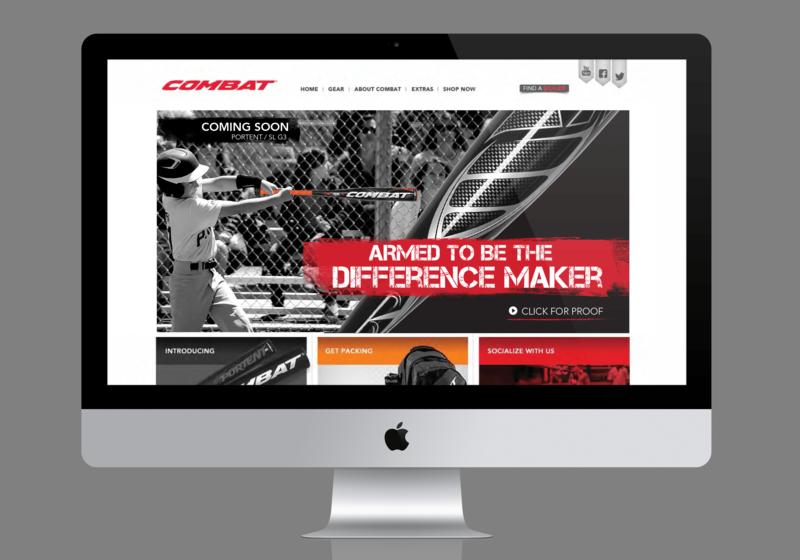 It was important to express the excitement and advantages of the new baseballs bats, making their 20% larger sweet spot compared to those of their competitors the main focus. Using the smooth curves of the DNA graphic from the bat to add texture, and the desaturation of colours on everything except the bats as an element of contrast, a design that portrayed the feel of being tough and high-tech was created.